Kiki Kogelnik was an Austrian painter, sculptor and printmaker widely considered to be her nation’s most important Pop-related artist despite the fact she has been known to take issue with being considered a part of the Pop art movement. This was primarily because she withheld from relying on the movement’s traditionally commercial subject matter, instead making work that concentrated on emerging technologies such as space travel and missiles. 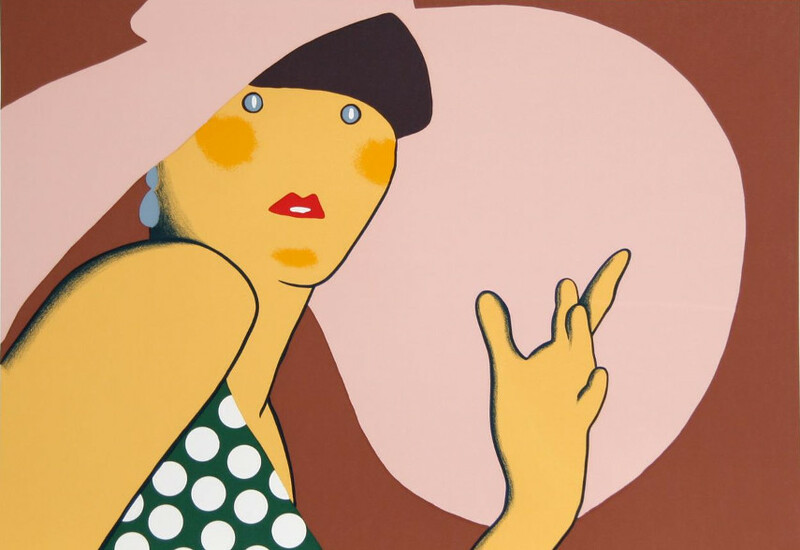 Nevertheless, Kiki Kogelnik did draw her palette and materials from Pop art, so linking her to the last great modern movement is far from a mistake. Kogelnik began her artistic career at the Galerie Nächst St. Stephan in Vienna in 1961 where she started showing her early abstract works. At the time she was influenced by Serge Poliakoff of the École de Paris. However, Kiki quickly found her own unique genre while surrounded by the Pop art movement’s representatives in the Big Apple. 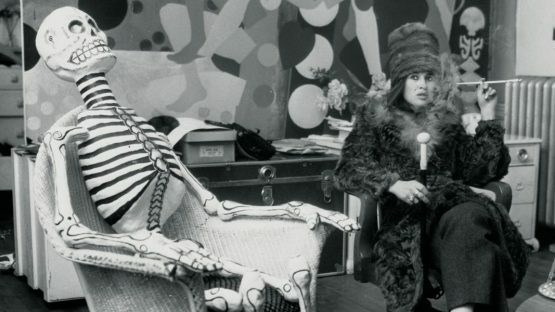 During her stay in New York City, Kogelnik was close to Sam Francis, an abstract expressionist who offered another source of inspiration to Kiki, as well as influencing her away from Pop art. Despite the fact she did not agree with many aspects of Pop art, Kiki Kogelnik still spent a lot of time with the movement’s representatives, becoming a big part of their group in the process. This close-knit group of artists included the likes of Roy Lichtenstein, Andy Warhol, Tom Wesselmann, Robert Rauschenberg and Jasper Johns, among other big names. 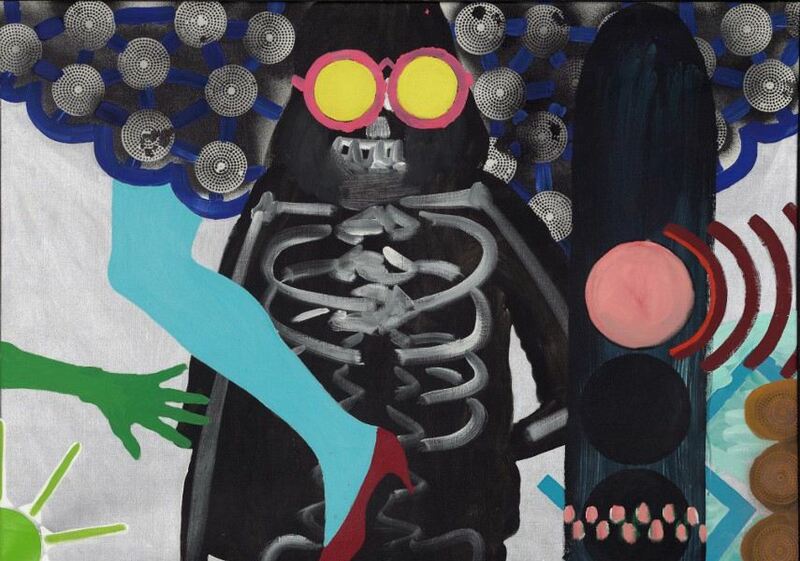 Her work during that time was strongly influenced by the Pop art colors and materials, resulting in numerous brightly colored, euphoric space-themed paintings. Unlike the pop artists she considered close friends and colleagues, Kiki Kogelnik avoided the celebration of commerce and quotidian objects. In the 1970s, her focus shifted to what later became known as her Women works, paintings that were specifically addressing the female role portrayed in commercial advertising. Approaching feminist issues with a strong use of irony, humor and a cool pop-art aesthetic, the art of Kiki Kogelnik was so unique that her name quickly became the hot topic on the international scene of art. In the year of 1974, she also began to work occasionally with ceramics, employing sculptural form as an extension of her painterly concepts. During the next decade, fragmented people, signs and symbols begin to fill Kogelnik’s portfolio and she also directed a short 16mm B&W film CBGB that featured Jim Carroll. The 1990s were a time Kiki would depict highly abstracted yet expressive faces. She also dedicated a lot of time to developing her sculptures – Kogelnik created a series of glass sculptures through which she sought to comment on decorative and commercial themes in art-making. Kiki Kogelnik died of cancer on the 1st of February in the year of 1997, in Vienna. Observing the world from a critical feminist perspective, Kogelnik made works that offer a timeless commentary on the portrayal of women in promotional media. A long and rich career that started with expressive roots of Art Informal and finished with Pop-like pieces, the work of Kiki Kogelnik is a true hallmark of Austrian art and a feministic milestone that heavily influenced the roles women had in the world of art. However, it also put art historians in a bit of a predicament as this artist’s name deserves to be mentioned along the lines of Roy Lichtenstein and Andy Warhol, but doing so would be going against the wishes of the great Kiki Kogelnik.